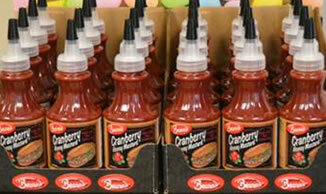 Our foodservice products are conveniently packaged in 32oz squeeze bottles to maximize efficient dispensing. 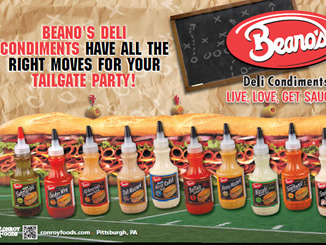 All of the items in the Beano’s Deli Condiment line available for retail sale. 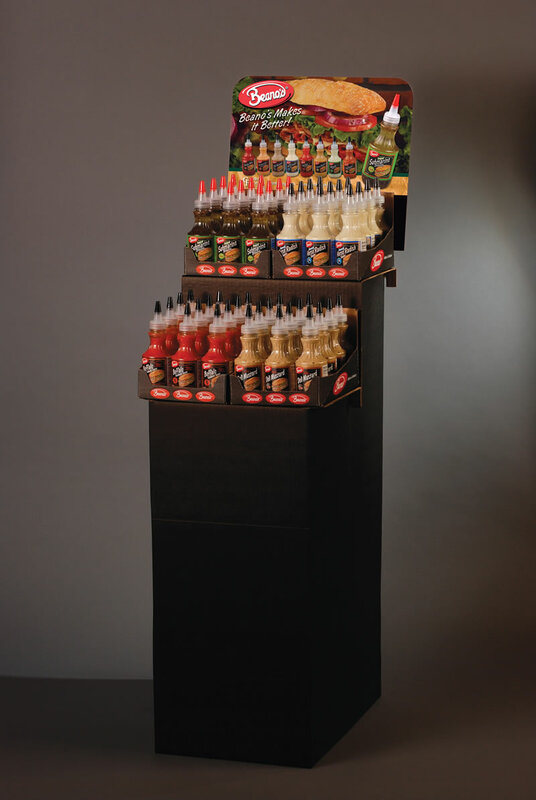 See merchandising tools for display ideas. 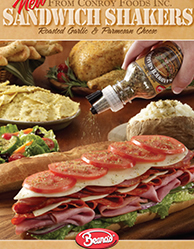 Sandwich Shakers ship in self displaying containers, perfect for merchandising on the deli counter or near your gourmet cheese section. 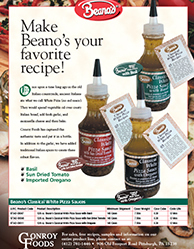 Information about our line of Beano’s Classical White Pizza Sauces. 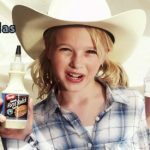 Recipes for our line of Beano’s Classical White Pizza Sauces. 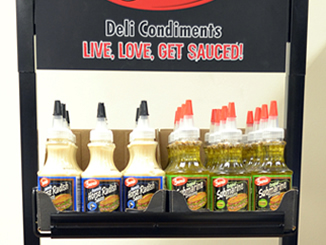 Our deli condiments are ideal for taking sandwich programs to the next level. 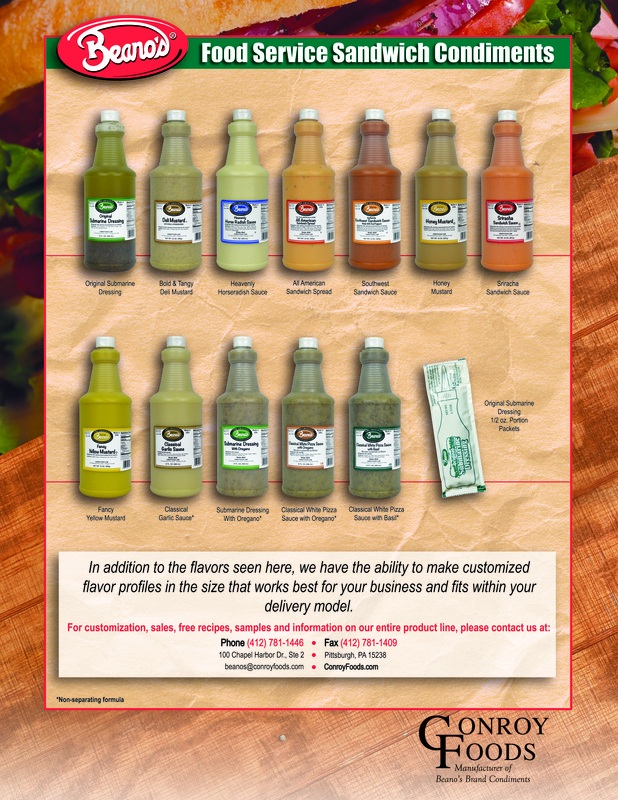 We offer many varieties in our convenient foodservice packaging. 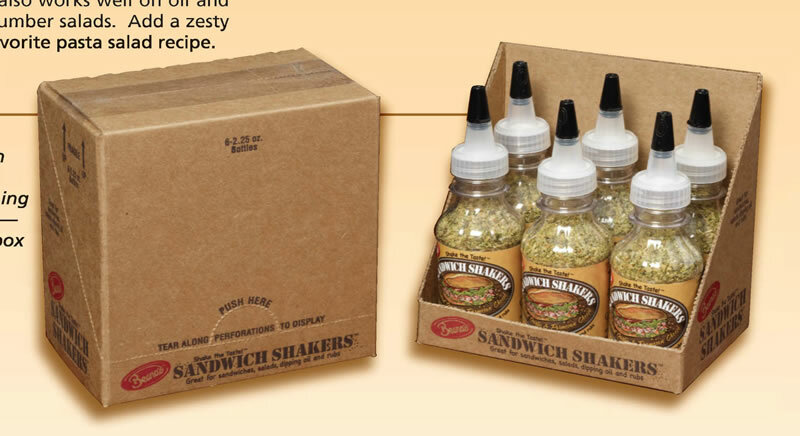 One case of foodservice product consists of four 32 oz. 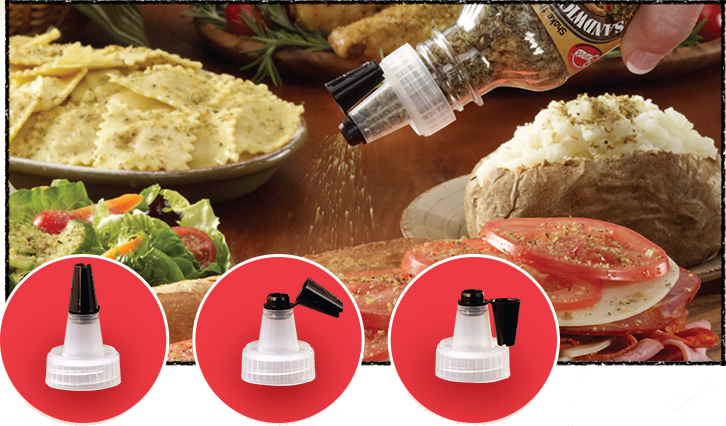 easy to use squeeze bottles. This is particularly useful behind a deli or in a restaurant where space is limited. 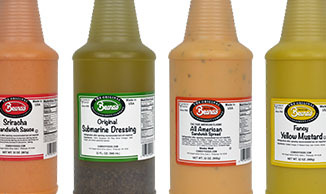 In addition to our foodservice bottles, we also carry our Beano’s Original Submarine dressing in 0.5 oz. portion packs that come 300 to a case and gallon bottles. 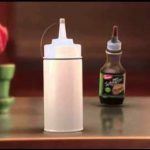 We also offer foodservice exclusive items such as non-separating, or emulsified, products that ensure maximum consistency when dispensing. 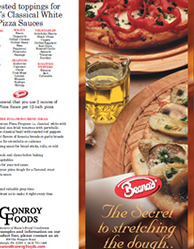 For a full list of products offered in our foodservice packaging, please see our Foodservice Sell Sheet. For further inquiry, samples, or sales information, please contact us. The Conroy Flip Tip directional closure has an elongated spout that allows the user to apply the product more precisely to the desired spot of application. 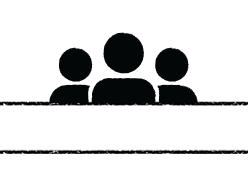 It can be opened, locked into place for dispersion, and closed all with the use of one hand. 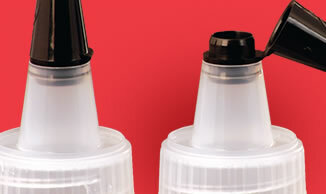 A pre determined 1/4 inch dispensing orifice eliminates the need for consumers to cut the spout tip. 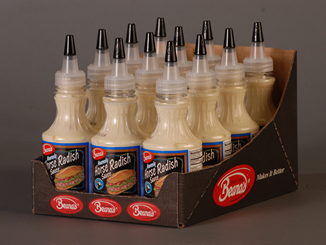 It features a resealable cap to preserve the integrity or freshness of the contained product, particularly for products whose chemical or physical properties may change upon exposure to air after opening (e.g., caulking compound) and for foodstuffs that must be kept closed to maintain freshness and avoid spoliation (e.g., sauces and condiments). It is often further desired to have the cap physically attached to the container to avoid losing the cap and becoming a potential choking hazard. A retention ring around circumference of the base portion of the closure allows the hinged flip top portion of the closure to lock in an open position. Cap is available in Red or Black. For sales, more information, or samples please contact us. 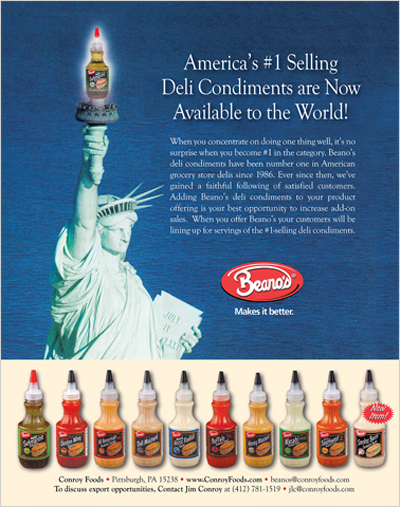 Conroy Foods is proud to be able to offer America’s #1 selling deli condiments worldwide. When you concentrate on doing one thing well, it’s no surprise when you become #1 in the category. 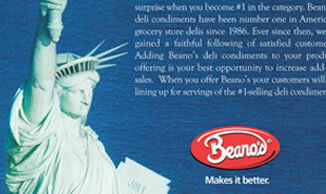 Beano’s deli condiments have been number one in American grocery store delis since 1986. Ever since then, we’ve gained a faithful following of satisfied customers. 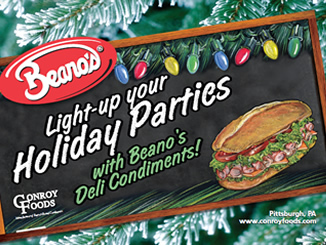 Adding Beano’s deli condiments to your product offering is your best opportunity to increase add-on sales. 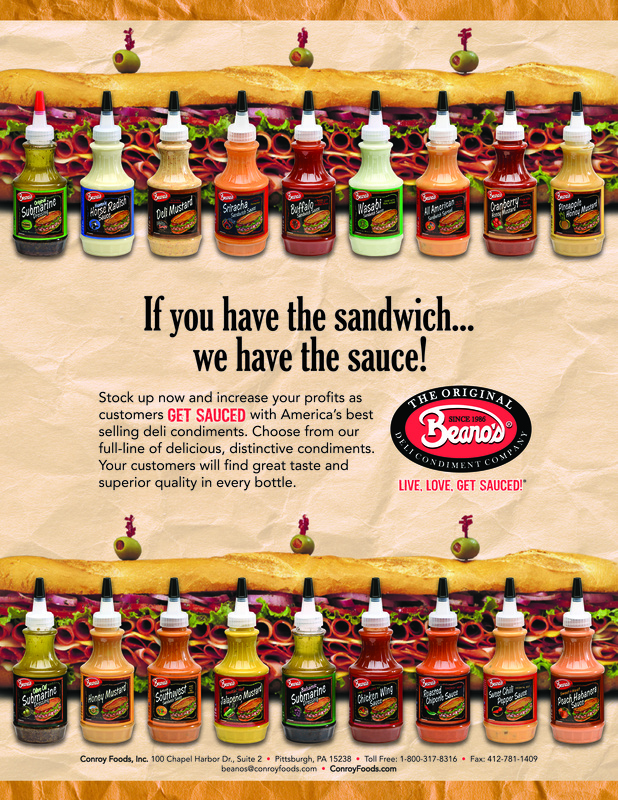 When you offer Beano’s, your customers will be lining up for servings of the #1-selling deli condiments. 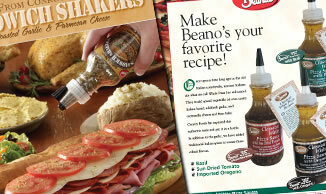 Beano’s now offers product labeling in Spanish and French. 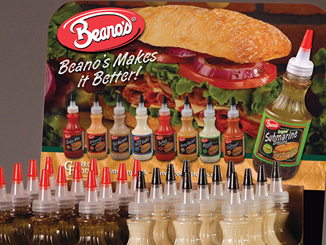 We ship Beano’s products worldwide everyday, contact us to discuss exporting options. Our new one-sided metal floor rack. 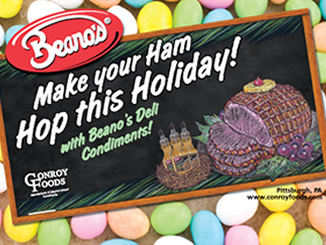 Convenient way to add incremental sales in your deli department. This self feeding counter rack fits perfectly on most delis. 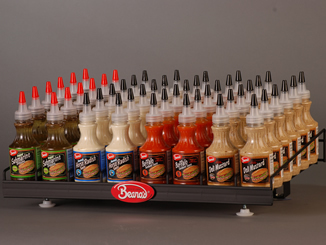 This is the tray that Beano’s products are shipped in for your merchandising convenience. 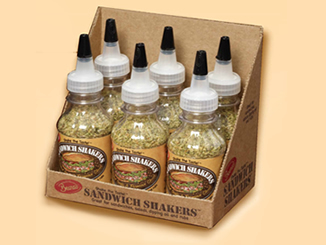 View the Sandwich Shakers self display container. You can order custom shippers with any of our specialty headers. This is a great way to customize the customer shopping experience.